The evening before the conference Voices of Courage: Facing Extremism in Myanmar and Wherever It Arises, please join us for a special screening of the acclaimed documentary The Venerable W., which provides much insight into the ongoing crisis of the Rohingya people. The film intimately and graphically illuminates the views and influence of Venerable Ashin Wirathu, the firebrand monk inciting unspeakable violence. 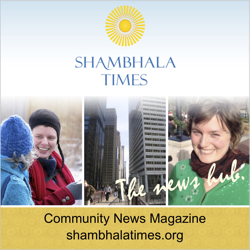 This event is presented by the Boulder Shambhala Center and sponsored by Boulder Weekly and Naropa University. Learn more about the Voices of Courage conference and buy tickets here.